Neoprene Mounts & Pads | Tecoustics Ltd. Individual neoprene mountings are available and can be customized to almost any load range required with typical deflections range from 0.1-0.5″. Tecoustics carries a full inventory of Neoprene or Rubber Mason Industries products for vibration control. The resilient material can be customized in all mounts, and all pad shapes, ranging from Natural Rubber, to Neoprene, to highly hazardous or temperature resistant material, such as Viton. The Mason Super W pad is a versatile isolation pad available in sheets up to 18″x18″, and durometers from 30-70 duro. 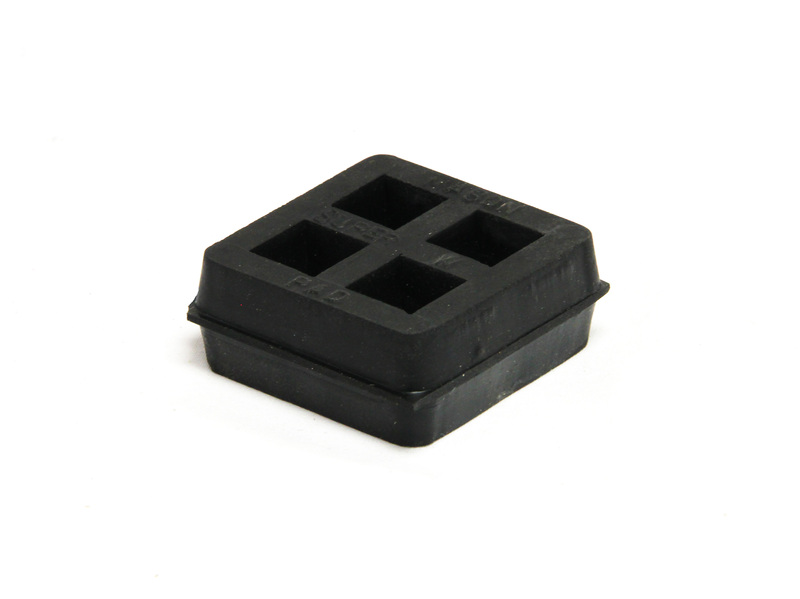 These pads can be used to reduce high frequency vibration and impact from typical machines such as HVAC units, Transformers, and general shop equipment. For more information on the Mason Super W pad, please download the brochure here. Mason Mini Super W is available as an alternative to normal Super W. Please download the brochure here. 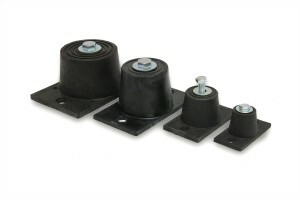 Vibration pads are used to reduce noise and vibration and to eliminate the need for bolting them down. The flat configuration minimizes machine elevation. This low cost method conveniently solves or prevents problems that do not warrant the use of either rubber or spring mountings. 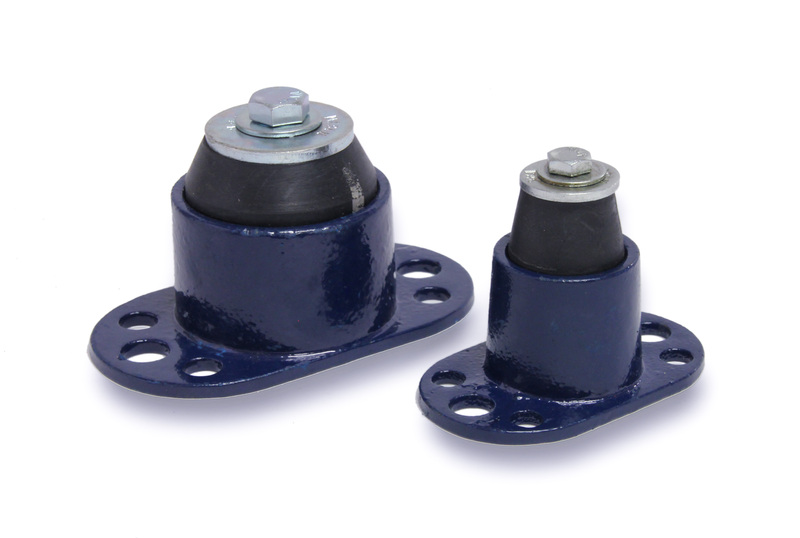 As a general rule, pads are recommended to eliminate high frequency noise, bolting, minor vibration problems in upper stories or for ground floor and non critical applications. For more information on Mason Vibration Pad products, please download the brochure here. Mason ND mounts are a low cost alternative when typical vibration pads will not fit the application or the required deflection. The Mason ND mount is a double deflection mount capable of 2-3x the deflection of standard pads. They are used to isolate a wide range of equipment, and bolt up to equipment mounting holes with the supplied cap screw and washer. The bottom friction surface of the ND makes bolting unnecessary in most application. The Mason ND is typically molded in commercial neoprene, but is available as Natural Rubber or Bridge Bearing Neoprene. For more information on the Mason ND mount, please download the brochure here. The Mason BR is a captive bridge bearing neoprene mount, capable of resisting Seismic, Mobile, Marine, and Wall Hung applications. It is an ideal mount where only low deflections are required, but the application will see movement from seismic, wind or other forces. 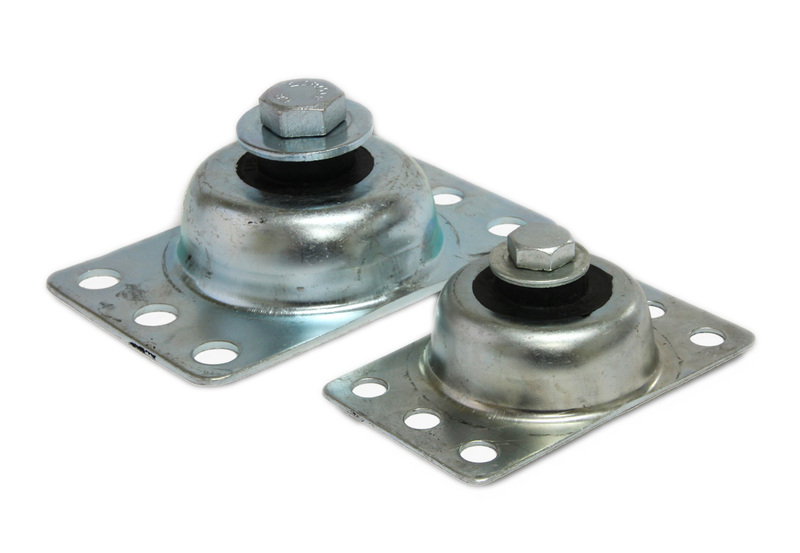 The BR mount has bolt mounting hole patters for both I-Beam or steel installations, as well as concrete. For more information on the Mason BR, please download the data sheet here. Similar to the Mason BR, the Mason RBA, RCA, RDA mounts are a neoprene mount capable of all directional restraint thanks to its captive steel housing. It is an ideal low profile mount for securing equipment to walls, floors or ceilings in seismic, mobile or stationary applications. They come in a range of capacities from 250lbs – 7100lbs. 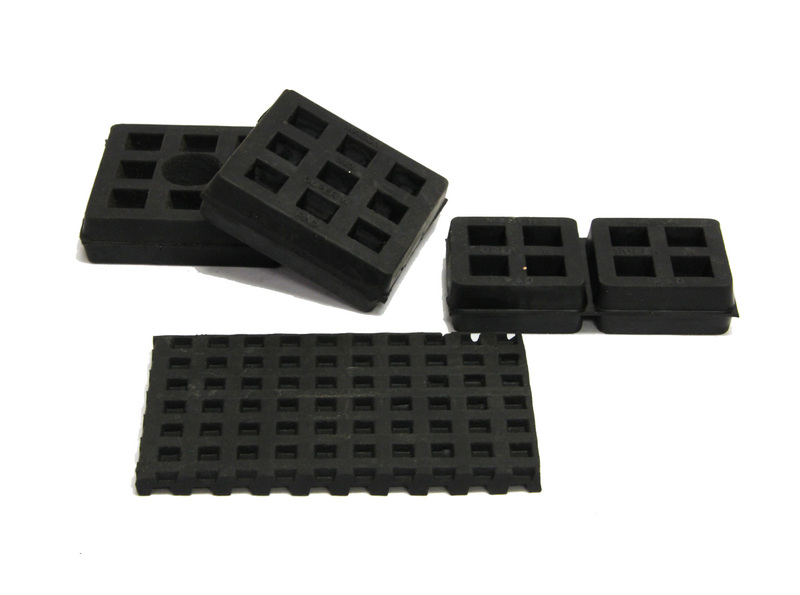 The RBA, RCA, RDA mounts can be custom ordered with a variety of different resilient elastomer types depending on the application, as well as housing material customization. For more information on the Mason RBA, RCA, RDA mounts, please download the data sheet here. Please contact us for further information on any neoprene, rubber or specialized mount or pad solution.